SEO in Toronto, Guelph SEO, Kitchener, and London, is what Visual Thinkers specializes in. We provide assistance with Online Advertising, helping you set up the best Google AdWords campaigns, as well as providing search engine optimization for your site. It’s great to have a website but what about traffic to the site? Without visitors what’s the point? 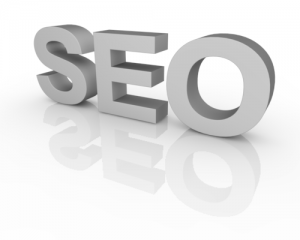 SEO and Online Advertising will drive traffic to your site, and we specialize in these areas. Online Advertising is a great tool, and we can help you maximize the return on investment you receive for the advertising dollars you spend. We specialize in Google Adwords. Using search engine optimization techniques we can help drive your website to the top of the search engines. To see examples of our work please do a search for “iPhone Repair Guelph” and you will see our client, GewTV on the first page of search in Google. You can also do a search for “real estate appraiser Guelph” and you will find S.W. Irvine, our client near the top of the page. A brief introduction to how search engines work. Search engines read the text of a page and analyze the backlink structure of the web to determine the importance of your site as well as the content for your site. You can think of each link as a vote for your site, and the more important the “voter” is the bigger boost in your ranking. We can help you optimize your site using techniques to get you higher rankings in a variety of searches. For competitive keywords, Search Engine Optimization can take time up to 6 months to achieve higher rankings, although if the niche is not highly competitive it can take much less time than that to rank highly for relevant searches. If you want immediate traffic online from search we recommend you use Online Advertising. Online Advertising through Google Adwords is a great way to get found on the web. This works by basically placing an ad in Google that shows in search and on various web properties if you choose. You pay per click for each visitor that clicks on your ad, although not for people just to see your ad. Check out our portfolio to see what we’ve achieved!